Just a quick post here about stuff sacks. I know it may be odd to see a blog post about stuff sacks, but when I find a good deal on something, I want to share it with others. Is that so wrong??? So, anyway, I picked up two Borah Gear cuben fiber stuff sacks about a week ago from Borahgear.com. I got a Small (4″ x 8″/1.5 grams/ $4.50) and a Large (6″ x 12″/3 grams/ $5.50) for only $10, shipping included. 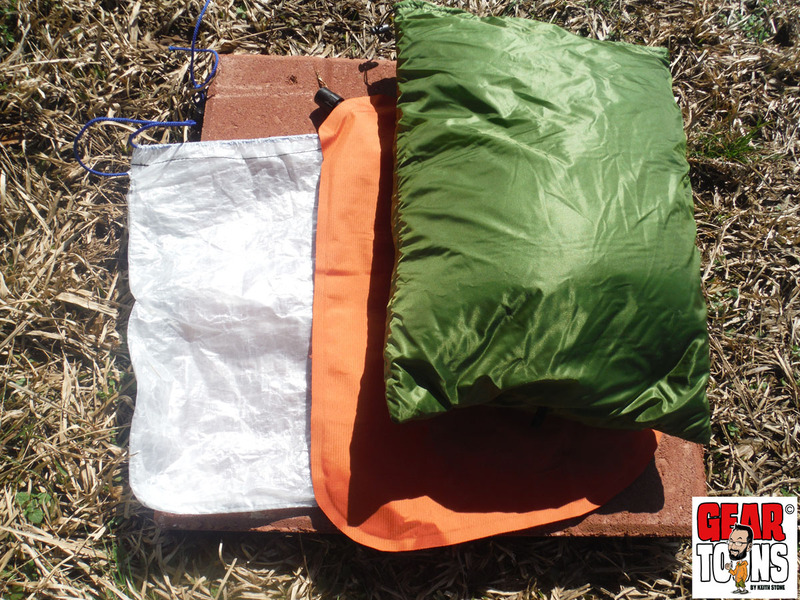 They make stuff sacks in cuben fiber, silnylon and no-see-um mesh. The silnylon and mesh stuff sacks are cheaper ($3.25 for small, $4.00 for large) but weigh more. I was surprised to find the cuben fiber sacks priced so low, since similarly priced CF stuff sacks are at least twice that on other sites. The seams are double stitched and are not waterproof, just so you know. Also, the bottoms are flat. The drawcord is nylon and pretty thick. It’d be great if they came with a cord lock, but fortunately, I had a couple medium sized ones I bought from Zpacks a while back. I slipped one on and it worked great. 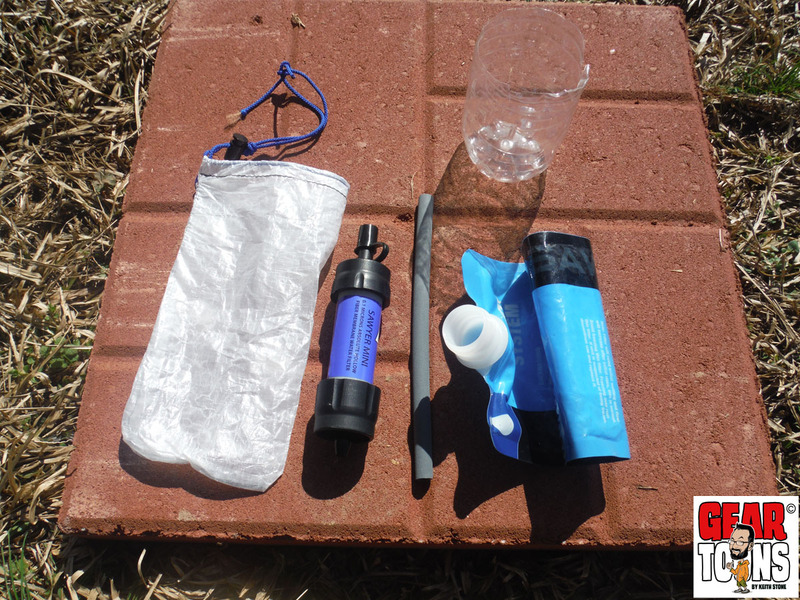 I was able to squeeze my Sawyer mini filter kit (seated inside a cut down water bottle) into the small bag. And I decided to store my Goosefeet Gear medium down pillowcase and small NeoAir pillow into the large one. I’m sure I could have stuffed more down into it, but I didn’t want to compress the pillowcase too small. 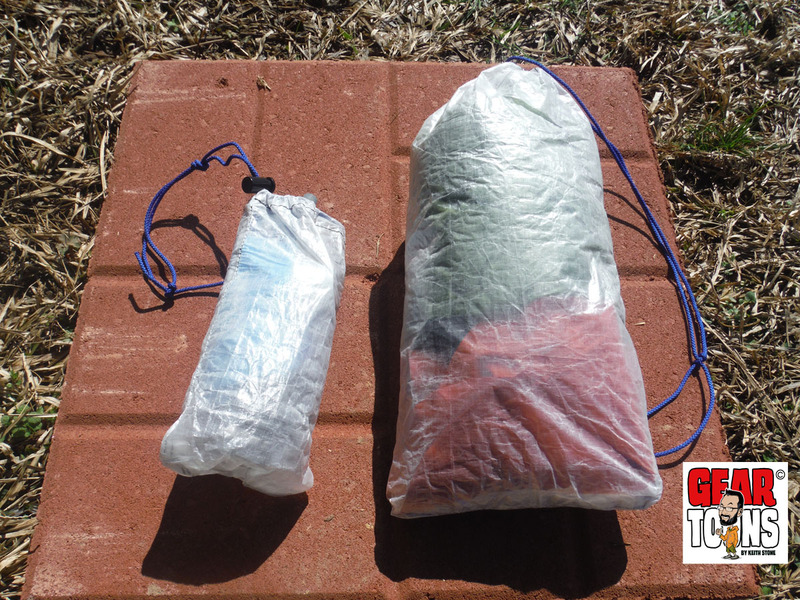 I inquired about custom sizes, since I wanted something smaller than the 4″ x 8″ small sack, to use as a bag for my Ti tent stakes and also something that would fit my cook kit a little better, since the large size was just a little too tight. They told me ‘Custom sizes? No problem!’ So, once I figure out exactly what dimensions I want, I’ll place an order. So, anyway, to sum up this invigorating review of stuff sacks: They’re dirt cheap and they seem to be made well. Categories: reviews, Uncategorized | Permalink.